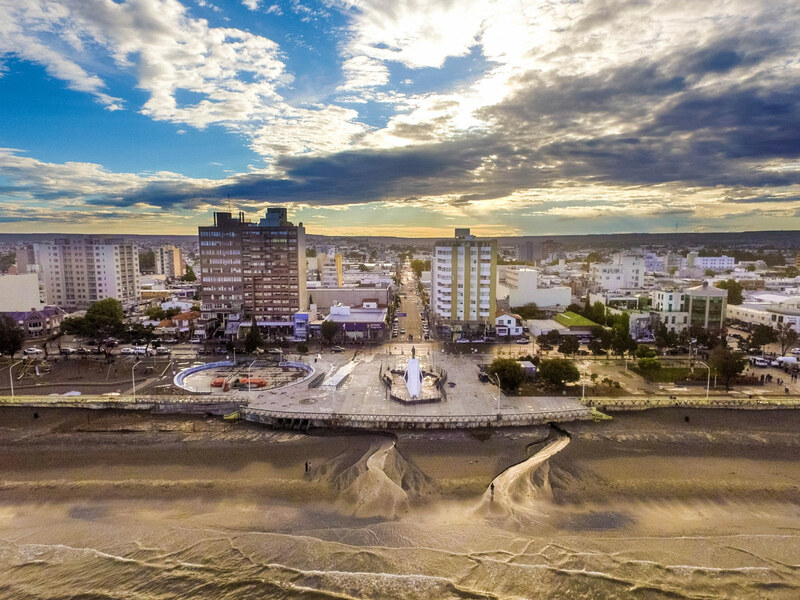 Puerto Madryn, Argentina is an incredible destination. This city, located in the Patagonia region of South America is a hot spot for nature lovers. Our visit to the region had us walking among millions of penguins in Punta Tombo. We also saw a mother and calf whales float along the ocean surface in Puerto Piramides. 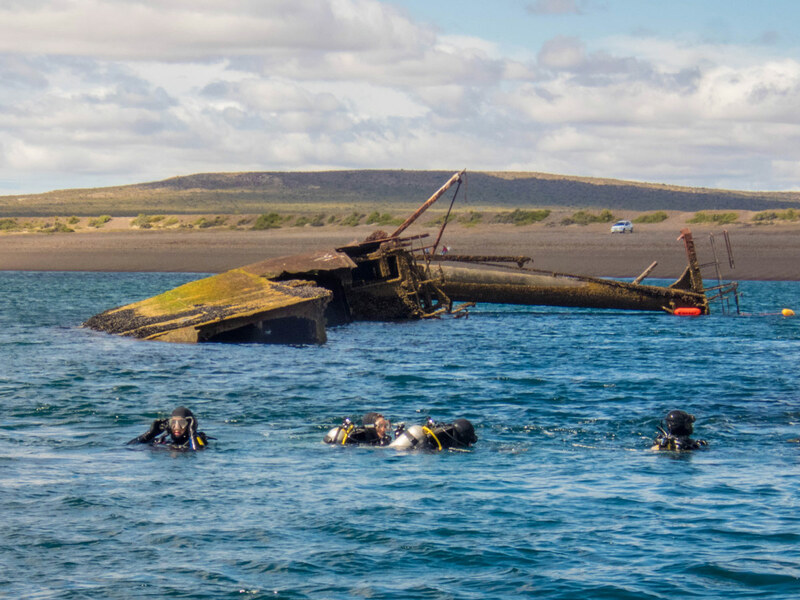 Those trips require a day just to get out and into the wild, but just outside of Puerto Madryn, you can have easy access to an incredible experience. 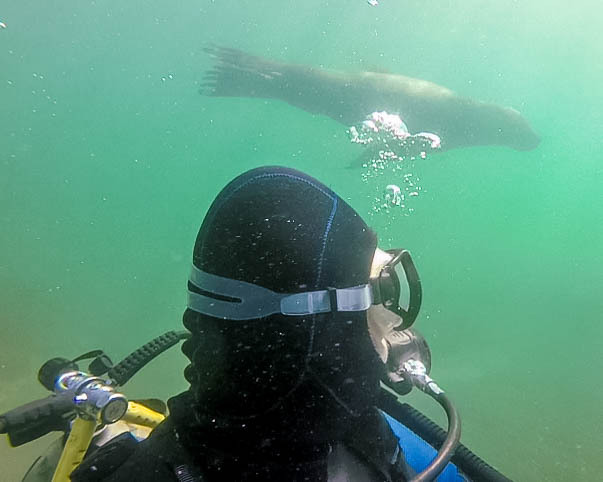 We found that out first hand when we went SCUBA diving with sea lions in Punta Loma. Punta Loma is a provincial reserve located just southeast of Puerto Madryn on the coast of Golfo Nuevo. You can access it by car, heading straight down Victoria de Eizaguirre past Charles Darwin. The road takes you past Playa Parana and at the end is Punta Loma. We, however, had a different agenda in mind. Christina and I were going to be going SCUBA diving with sea lions in Punta Loma Argentina! 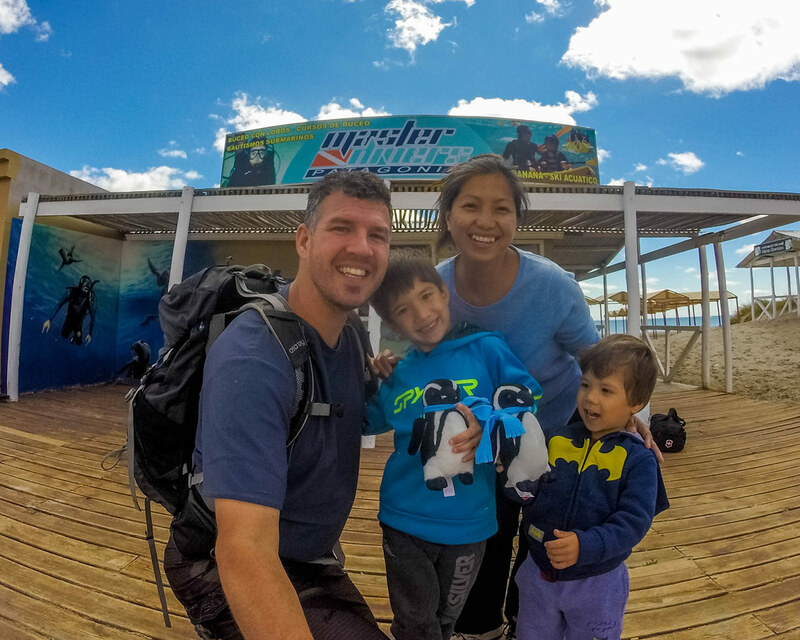 We booked a dive through Master Divers in Puerto Madryn. 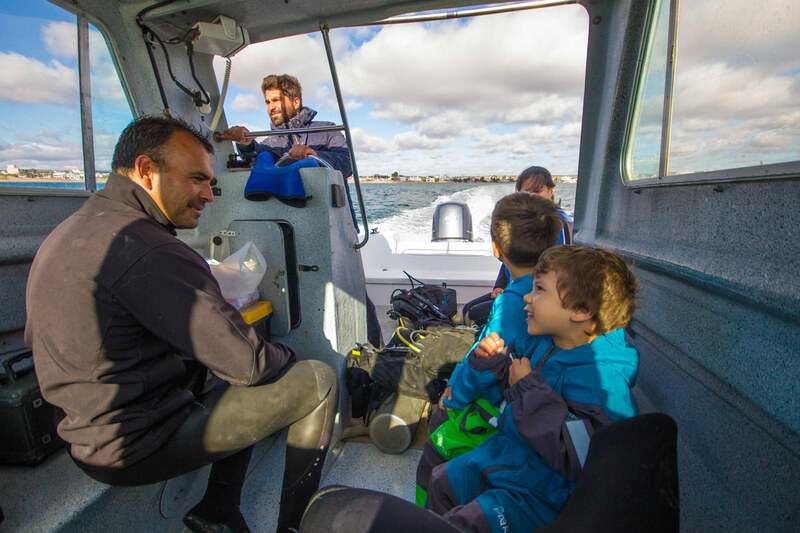 Our trip was going to be made extra special, as it would be the first time that the boys would join us on a boat during a dive. 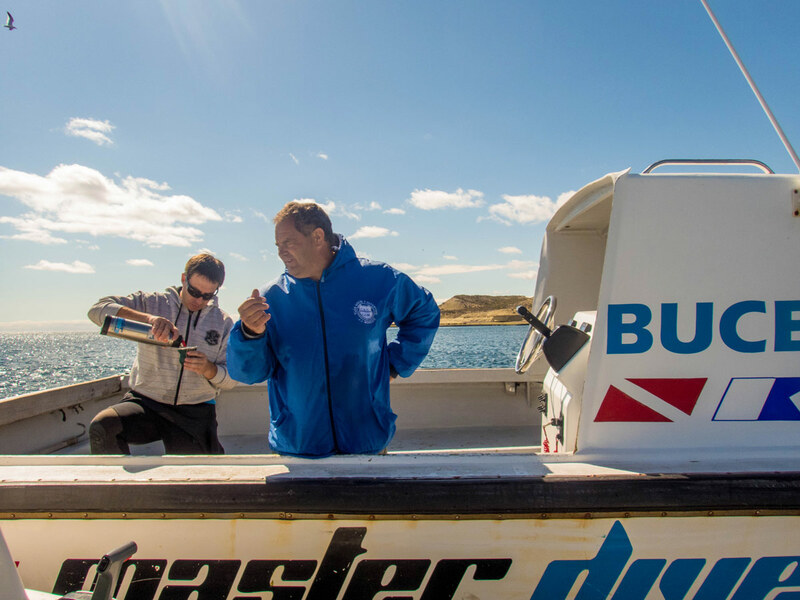 The folks at Master Divers were excellent, helping us suit up into thick wetsuits, boots, and hoods to deal with the cold Atlantic waters. Both boys were fascinated watching us get decked out in our gear but were disappointed that they wouldn’t get to wear their own. After we suited up, we headed down to the beach, the boys called out when they saw the boat heading into shore. We grabbed our gear and hauled the boys out through the shallow water to the dive boat. While the boys haven’t always loved boats, we all had a great time on the trip out to Punta Loma to see the sea lions. We had an instant rapport with the captain and dive master. They pointed out the amazing sea caves, rock formations, and bird rookeries along the way. Along the way, we spotted a shipwreck of an old cargo ship. The Miralles sank due to a storm and now sits, half above the water, about 100 meters from shore. We did a quick tour around the impressive looking wreck and watched a group of divers make their way through the ruins. There are a few other shipwrecks in the area as well, including the Emma, the Folias, and the Albatros. It was obvious we had arrived in Punta Loma when we saw a collection of dive and snorkeling boats anchored just outside the reserve waters. Christina and I opted to stagger our dive times so that one of us would be able to stay with the boys. Christina went first and sank beneath the waves for her adventure. It was a blast getting to see her from above the surface. After about 20 minutes we heard the bubbles off the port side and looked over to see her making her way to the boat, she had a giant smile on her face. It was now my turn to dive! I geared up and dropped into the water. I dropped deeper into the green-tinged waters and began following the dive master towards the reserve. Before I even knew what was happening, I was surrounded by playful sea lions. 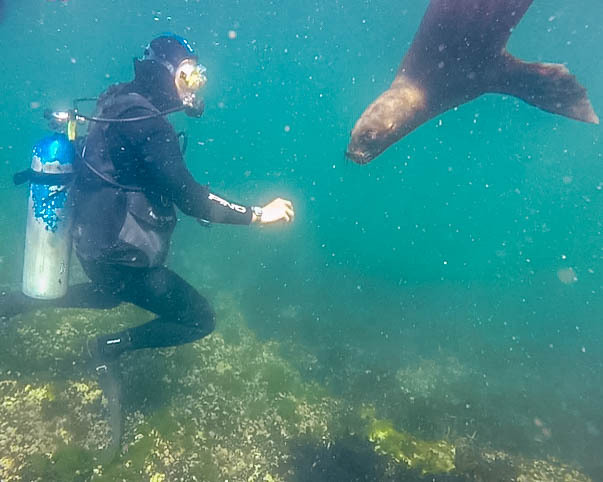 It was immediately clear that SCUBA diving with sea lions in Punta Loma was going to be fun. The playful creatures dipped and darted effortlessly through the water. They seemed especially interested in anything bright that they could find, like glove free hands and the orange tips of snorkels. 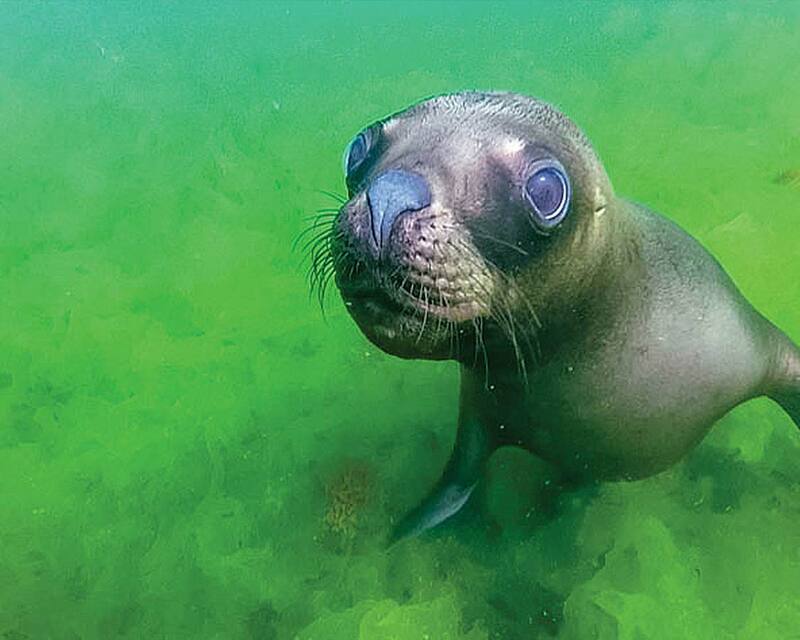 As I continued through the fields of bright green algae, the sea lions would appear almost as if from nowhere. Sometimes they would swim alongside, other times, they would nibble at my gloves or twirl around me curiously checking me out. The dive master signaled that we were near the end of our time, so I gave the last goodbye to my new friends of the sea and we began making our way back to the boat. As I surfaced, I found that Christina and the boys had been helping themselves to the delicious coffee and treats that the folks at Master Divers had provided for us. After I snuck one away from D, I got my gear off and enjoyed the sunny skies as we made our way back to Puerto Madryn. It looks like your kiddos had a blast! I’d love to scuba dive with sea lions! What a unique experience! And I loved your video! Oh, I want to do that! It looks so fun, beautiful, and interesting. Love the video, too. I’ve been around beluga whales and dolphins in the ocean, but sea lions would be so cool. So great they made your boys comfortable. This is going on my list. This looks like so much fun! Never thought sea lions could be so fun and friendly! Will definitely put this on my bucket list! Wow, how cool. So neat that you could be so close to the sea lions. WHAT? Diving with sea lions? That is so cool. 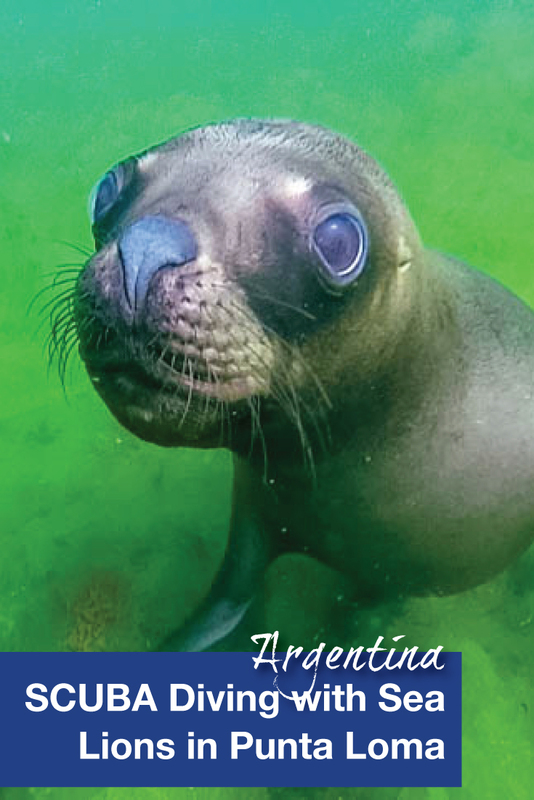 The marine life in the Puerto Madryn area is simply amazing. Looks like so much fun Kevin! Even more neat; your shots are so good as far as detail this is the first time I have seen a sea lion iris in their eyes. Not kidding. Amazing snapshots. That sounds awesome. First that pic where the road ends looks amazing! I would love to go diving at the Miralles! 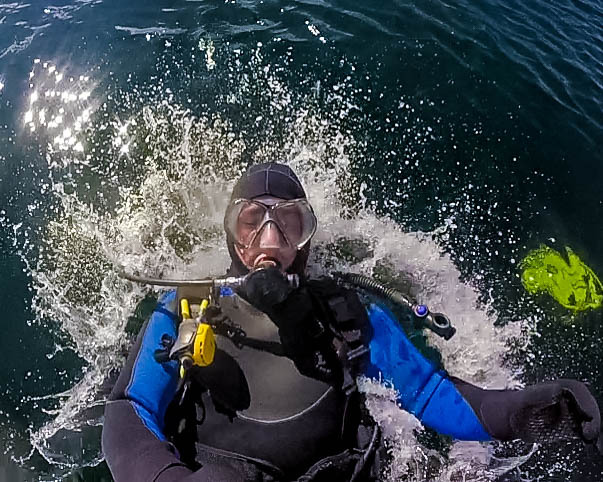 I am not scuba certified though, do you have to be to dive the wreck or dive with the sea lions? It’s always best to have your certification before you make a dive. 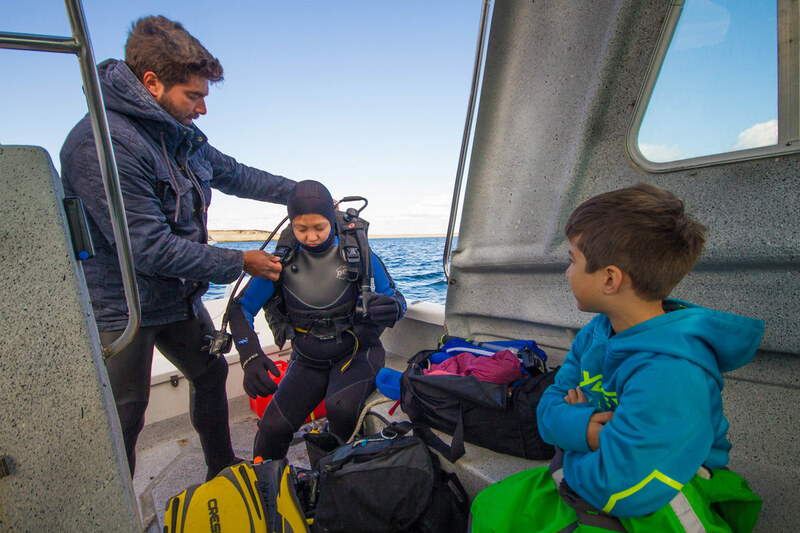 Some outfits might allow non-certified divers on non-technical dives, but I would suggest that for these specific ones, you don’t take the risk of going in without training. Both places do offer snorkeling though, which can give you excellent views as well. This looks like so much fun and it is so adorable that the sea lions are so friendly. Also it was good that the kids could see both of you go on a dive together. Hopefully they can do it soon. This was a nice family adventure! You have featured a different side of Argentina. Punta Loma has a beautiful scenery. It was good that your kids were with you. They probably had so much fun riding on a sail boat.The sea lions look friendly and very playful. Shipwrecks look mysterious but they add beauty too. I would love to visit Punta Loma someday. Of late I’m seeing so many of this type! 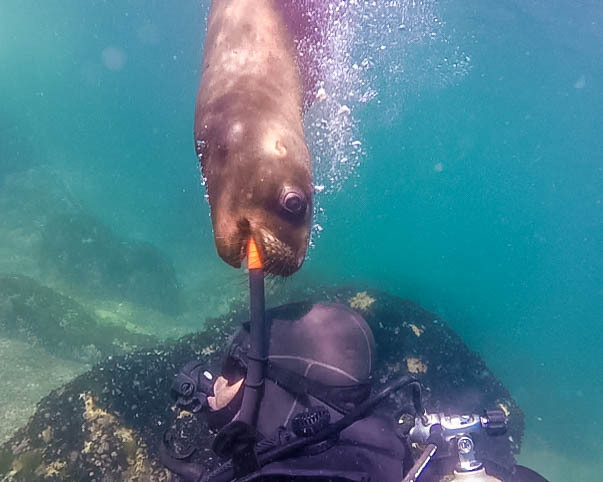 Diving with sharks, whales and now sea-lions! The only thing that were there a few years back was just dolphins! This looks like a super fun thing to do! The sea lions indeed look so playful! OMG! Those sea lions are too cute! I’d consider getting scuba certified just to hang out with those guys. This is such an awesome and cool experience! And the sea lions seemed so friendly and relaxed around humans. Beautiful!